If I haven’t already made it abundantly clear, I’m a busy mom. I have two kids in extra-curricular activities, I’m on our school’s PTO board, and I’m homeroom mom. On top of that, I run this blog, and a side business as well. This isn’t my way of bragging about how much I do (I’ve talked on that subject as well, here). Telling you this, you can see that no matter how busy you are, you still have time to stay organized. If I wasn’t, I’d drop the ball all over the place. Recently, I’ve read a lot about Bullet Journals. They’re all the rage right now! I thought I’d give it a try and see if this organizational tool could work for me. I love making lists. I mean, I really love making lists. As soon as I start feeling anxious or stressed out, I know a list will help sooth me and pull all of my thoughts together. 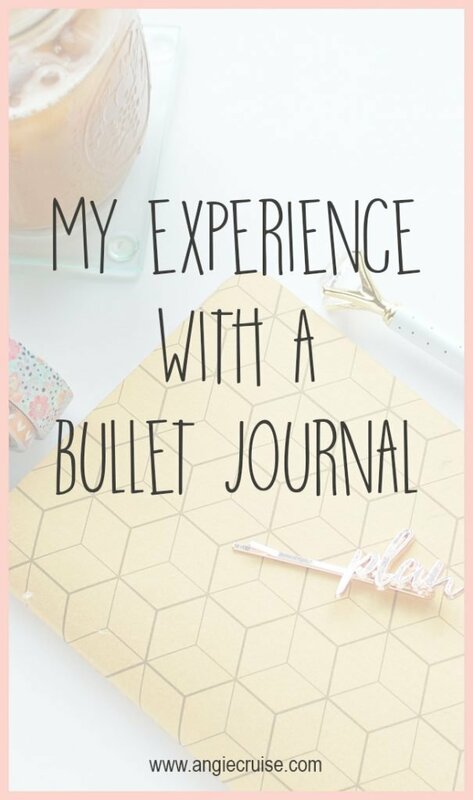 When I first started reading blog posts on using a bullet journal, that’s the part that appealed to me the most. A place to have all of my lists without losing them just sounds amazing! There are also cool capsules for things like habit tracking, future planning, books to read, ideas to remember…you get the gist. It’s an organized place to keep everything you want to remember, and comes equipped with a handy index page right in the front so you can remember where you wrote everything down. I couldn’t pass up the opportunity to give it a try, so I got a cheap notebook and started looking at ideas on how to use it. First thing’s first, I feel like it’s important to tell you that I learned really quickly that this is not my planner. I have a planner. As a matter of fact, I have two. As pretty as I think all of those weekly spreads on Pinterest are, they just aren’t for me. Believe me, I tried. Daily pages just got too unorganized, since there are too many different activities to plan. Weekly spreads just seemed to imitate my planner, and, well, what’s the point? Monthly spreads do get used, but only as a tool for planning ahead. So, like I said, I do not use my bullet journal as a planner. I just can’t have another thing to track daily. That doesn’t mean I don’t use it, though! I’ll go into that more below. I’m not going to lie. I thought long and hard about giving up my bullet journal after the first week. I couldn’t use it as a planner, and all of the beautiful spreads on Pinterest had planner pages! It seemed like I was doing it wrong, because mine seemed to function differently. Still, I didn’t want to give up on it after only a week. That’s not even a good, honest try, right? I realized that there are still plenty of things I can put in my bullet journal, and that the only way to do it wrong is to continue doing something that doesn’t work for me. At this point in time, my journal can pretty much be called a glorified list maker. I’m okay with that. I have lists that I need to remember for various projects around the house (ex: work that needs to be done in the garden), lists of books I want to read and movies I want to watch. It’s also my go-to place to organize my brain-dump lists so that I don’t lose them. Since this book is nothing but grid-lined paper, I can truly make it my own. There is no right way to keep a bullet journal. It is exactly what you need at any given time. At this time, my need is to have a place to organize the jumbled mess of to-do’s that are in my head, so that’s what my bullet journal has become. Maybe one day I’ll need to use it as a planner, but that’s not today. 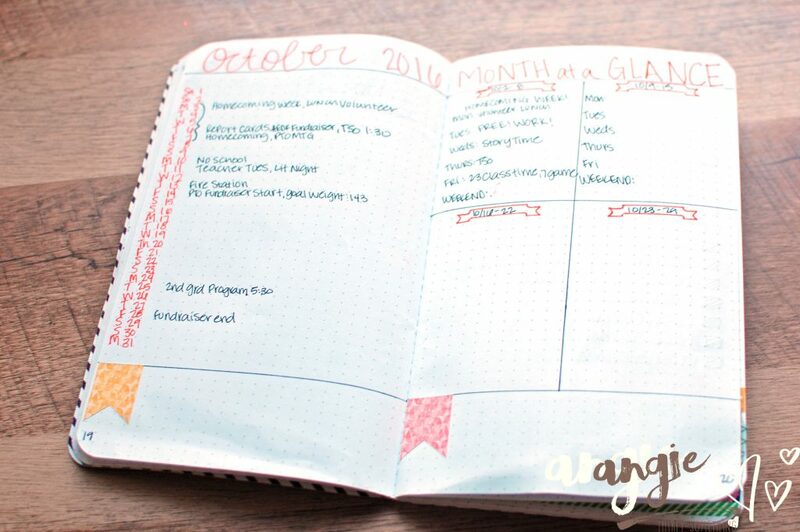 If you’ve considered keeping a bullet journal, but quit because you couldn’t do it “right,” maybe you should reconsider! I’ve grown to really appreciate mine, even without all the fancy planner spreads I wanted so badly to emulate. Do you keep a bullet journal? What do you track in yours? I’ve love to hear about it in the comments below! Great post! I love my bullet journal! I initially tried to use mine as a planner but that takes too much work. It would be Wednesday and I would realize that I had 3 lists on loose-leaf paper going but still hadn’t made my weekly bullet journal spread. This month, I am trying to do fun layouts that let me have monthly lists instead of weekly ones. 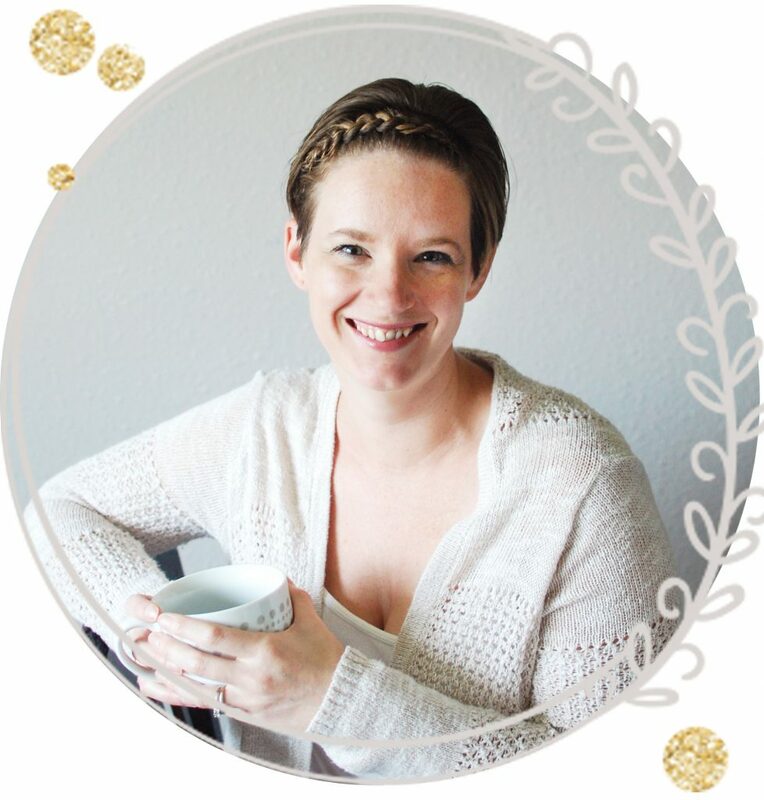 I hope you continue to love your bullet journal! Hi Lauren, thanks for the comment! I completely agree. I realize on Wednesday that I haven’t even looked at it (although I look at my planner daily). Monthly spreads work out pretty well for me, though! And I’m a huge fan of long to-do lists, so those go in there as well. Awesome! I have been thinking about doing a bullet journal for a while. I love lists as well, and often lose them before I even get to check anything off! I like your idea to have a separate planner…I think that may be too much to have everything together. What are some of your categories beyond month at a glance and to do? Hey Lauren! I’m glad this could help! Right now my bullet journal is mostly lists of some sort. Besides those 2, I have a list for books I want to read, books I have already read (this year), a weight loss tracker, and I’m planning to find a cool way to track my bills in it so I don’t have to keep that info in my planner anymore! Even with my to-do’s, it varies a lot. 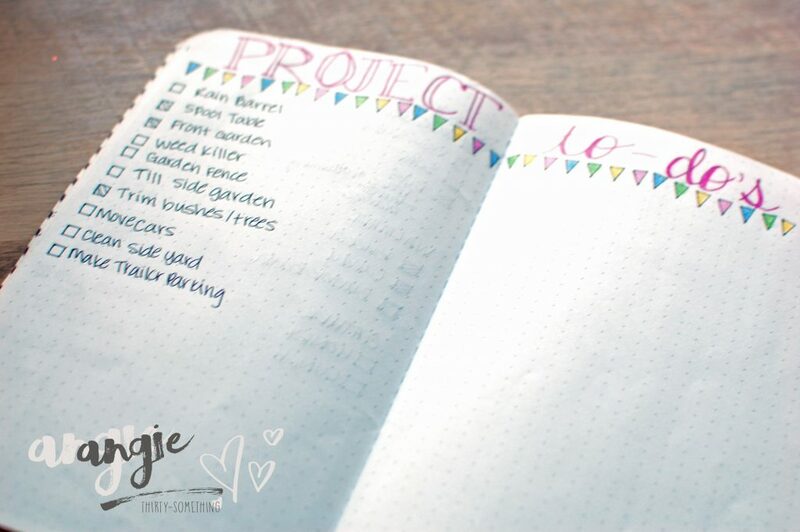 I have one specifically for projects that need to get done around the house (ex: re-paint a room, get new windows…), a list for my new garden bed of what to buy and what needs to be done, and lists of things to remember for class parties, etc. So, it’s not just a daily list of to-dos! I love that I won’t lose these before I mark it all off! Hey Leigh! Thanks for the comment! 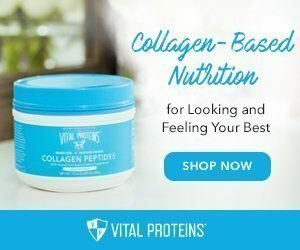 I am trying to start using mine for my blog as well. Hopefully I can figure out an editorial system that works! Thank you so much for writing this :-). It makes so much sence to me. I have also tried and tried to use my bullet journal as a planner, but I keep not getting my weekly spreads made in time to use them, so I had almost given up. Have you read David Allan’s GETTING THINGS DONE? 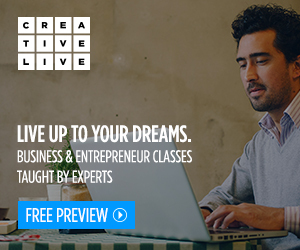 It takes your – excellent – ideas into simple, effective, stable forms, that can serve you forever!